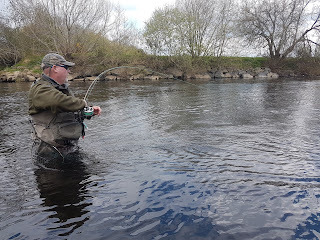 So I headed down South today to meet up with a friend and my fishing buddy David O Donovan for the first time this year and we had planned to fish some rivers in County Cork. 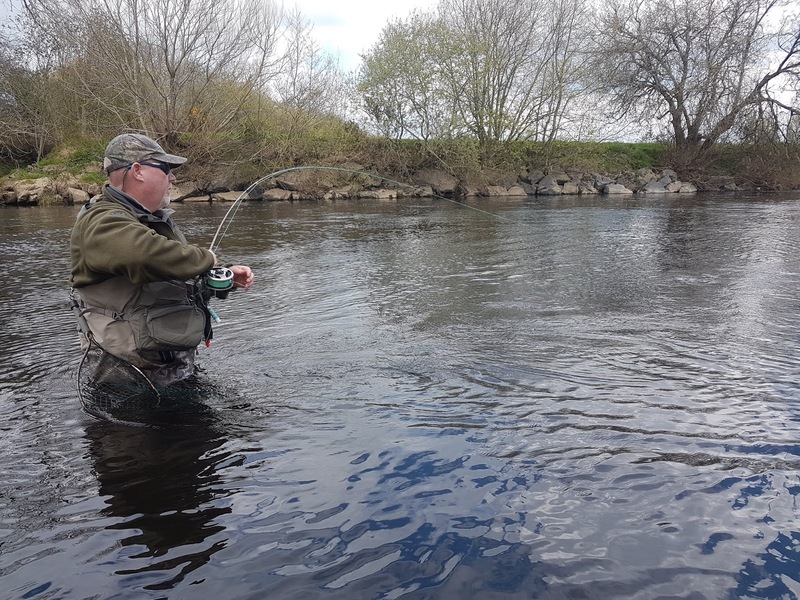 After some breakfast and a catch up, we decided to head to the Blackwater for a cast and went out past Mallow. We have had bit of a regression weather wise of late and the morning frost was still around as we began to set up. The river wasn't high but it was still pushing on and the cold air made it feel like a February morning rather than early to mid April heading to the river. 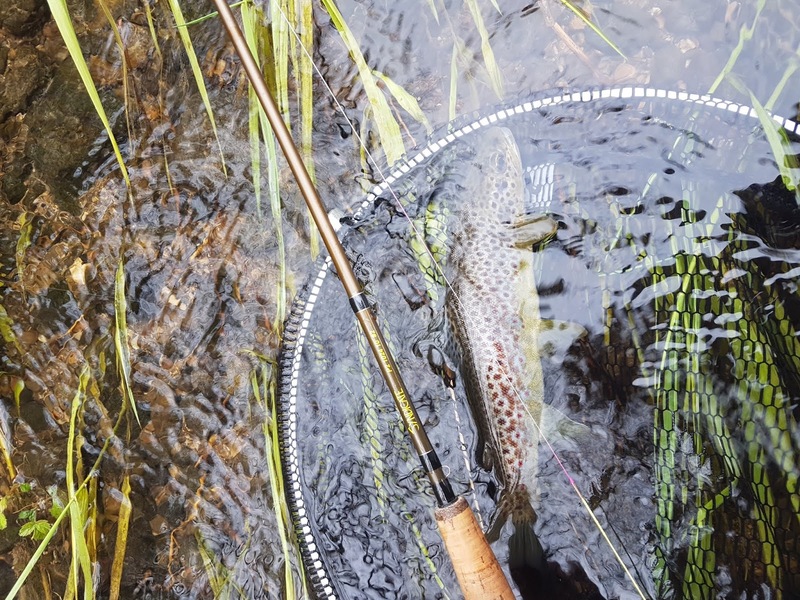 Dave's choice of method was his trusted wet flies that he is renowned for fishing and I set up a nymphing rod and a dry dropper set up. and takes with only a few transferring to the net. 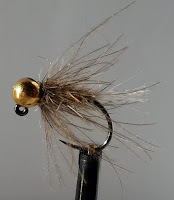 It looked cracking water, knee high and a a nice flow on it, once began to dry dropper the section I realized the flow was pushing through a bit too much and my nymph under the dry was not getting down. 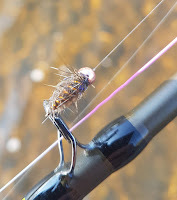 Now while I could have put up a heavier nymph to try get deeper, but this would have resulted in drowning the dry as I was already fishing a 3mm bead and to go 3.5mm or 4mm I wouldn't have had a long enough drift on the rig to cover the water needed to get a take. 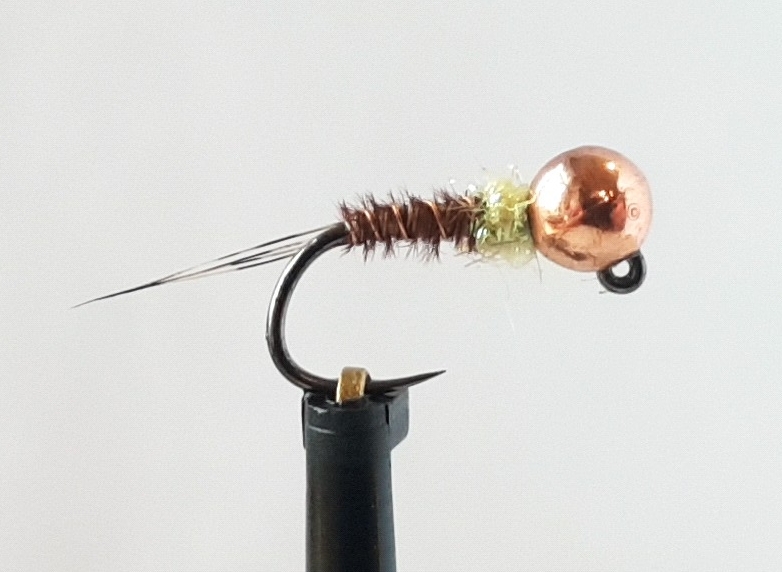 So I put up a second nymph on the rig and it was like switching on the light. 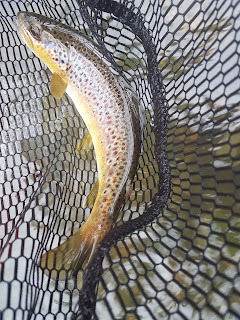 With a second nymph under the dry it helped to anchor the nymphs better in the water with out dragging down the dry and allowed the point nymph to get where I needed to have it for longer drifts, and hense I began to meet a lot of fish. It can be a bit tricky fishing two nymphs under the dry as there is always the good chance of a tangle with two nymphs and a large dry moving through the air on a cast, but taking your time, have nice open loops and it will help to combat this. fly with a bright orange post around 18 inches and then 2.5 feet to my first nymphs with a 2.5mm beads followed with a 3mm copper beaded Pheasant Tail that done most of the catching, this nymph has been catching quite well lately and make sure and check out my youtube channel where ill post the tying in the coming days. The top nymph also caught a few as it was fishing higher up in the water table for any fish that might be looking up as the day warmed up. It was a good days fishing and it is always a good day when to figure something out like that, no matter what your catch was. Hopefully the weather will turn and we will see a return to some warmer weather soon. But it was nice to get out with a good friend on the water for a cast and a good catch up. I hope you have enjoyed reading this post and enjoy the 2019 season. If you would like to stock up your boxes for this coming year make sure and contact me through Facebook or email. If you have any questions or queries please feel free to contact me. Also make sure and check out my website www.piscari-fly.com for all your tungsten beads, flies, Dohiku barbless hooks, Tommi-fly products,the amazing Syndicate Fly Rods, Reels, leaders and much more. Thanks for reading. So its been a while sense I have posted something on the blog, this was due to the arrival of my son a while ago and a slow start to the season. 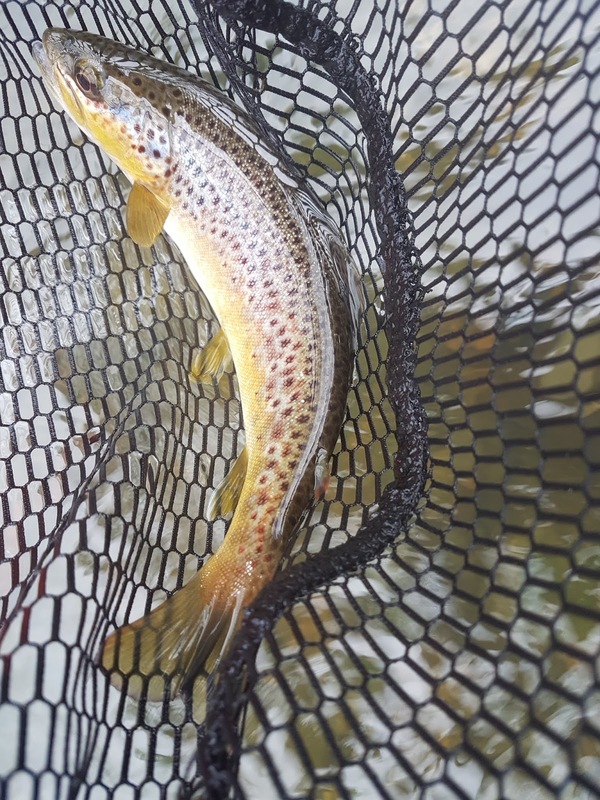 But after getting out for a few hours recently on a lovely tributary to the Nore in Kilkenny here is an update of where the fishing is at the moment and whats working. 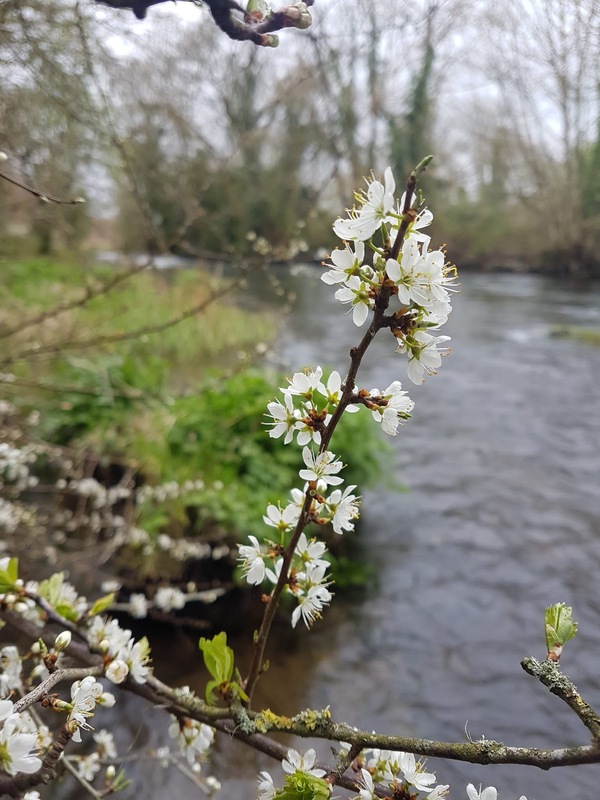 For us anglers here in Kilkenny we don't have the pleasure of fishing before the 17th of March and the majority of rivers in this region of Ireland are slow starters unlike the Munster rivers that get flying in early February. It is normally around April before we start to see good movement of trout from there winter lies into the runs and some evidence of fly life that might get them interested. At the moment the temp of the water around here is still about 8 to 9 degrees and with a rise of one or two more degrees we will see huge improvements in the fishing. 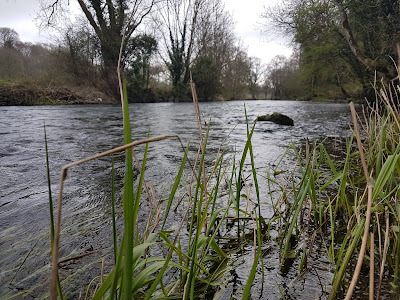 This morning I managed to get out on the water for a few hours on a stream near by my home, while the Nore is still too high and cold to produce a catch, these tributaries are where I do the majority of my early season fishing. With the odd but little foliage on the trees and not much fly life in the air, it was only the nymphing set up I took with me. I picked a stretch that had a nice mix of water from fast water to glides where I would have plenty of options to find some fish. 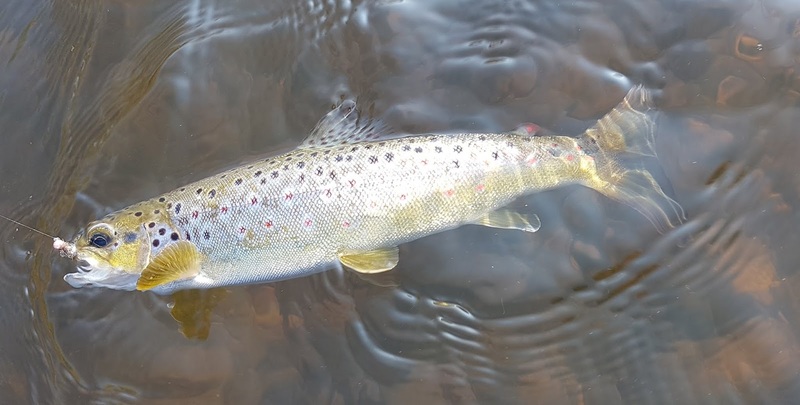 At this time of the year here the fish can be still in pods or groups and not fully spread out in the spring/summer lies. I began fishing the tail waters of the pools, this calmer water is the most productive water for me this time of year. While it is flat it still has enough movement to euro-nymph with great results. It was only one cast or two and the fish start coming, some by the doubles. In the side margins I pick up a few salmon Parr. 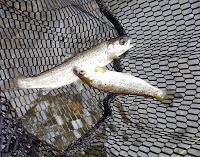 These averaged from 6 to 9 inch fish and while they were sporting indeed at this early stage of the season that was not the catch i was looking for; also great to see them in the river in abundance. 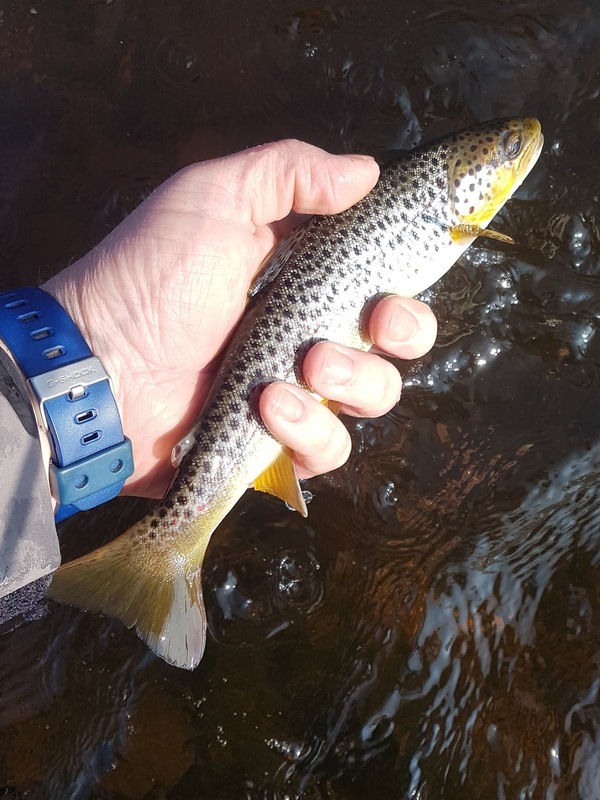 Once I began fishing in the deeper channels of the pools and glides, I began meeting some lovely trout in great condition for early April. This trend continued through out the 3 to 4 hour session from pool to pool. For my set up, it was a syndicate 10 foot 2 weight rod with a 20 foot leader and tippet. The leaders was an aggressive taper with Mirko Skafars Neon wax as the indicator instead of any bio colour mono. 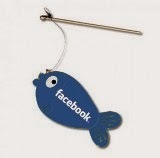 I find this a good set up as I can move the indicator wax as I am fishing different depths of water. For the tippet I was using shogun .12, because the water was dull in colour and I could get away with the heavier tippet. A good thing to remember is that use the maximum diameter of tippet you can get away with, I can nymph with as low as .06 but if I can get away with .12 I will use that. 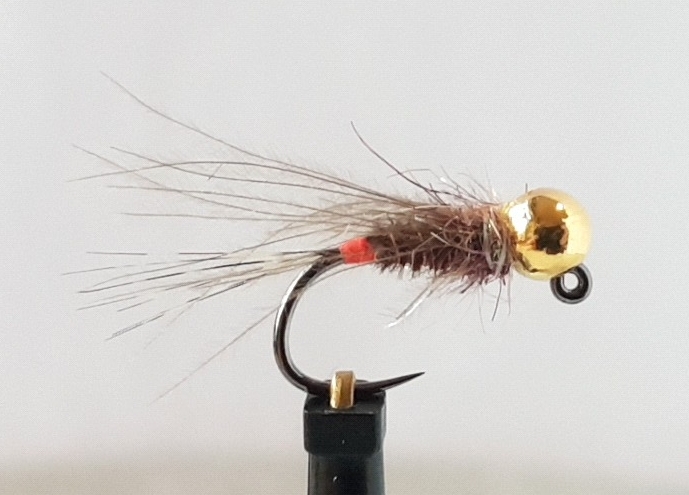 This heavy tippet also means that at this time of year when I am fishing 3mm to 4mm tungsten beads dragging the bed of the river I wont lose as many nymphs and because the water is slightly coloured it dose not bother the fish or effect the results to my net. The nymphs were simple and two or three trusted nymphs of mine a pair of copper beaded pheasant tail and a gold beaded hares ear nymph. 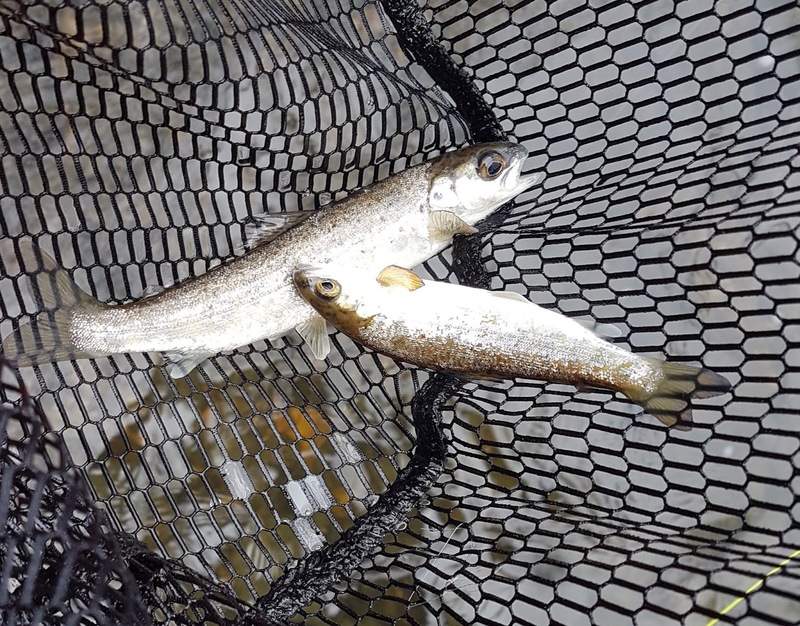 I was switching between 3mm, 3.5mm and 4mm depending on the depths of river I was fishing. 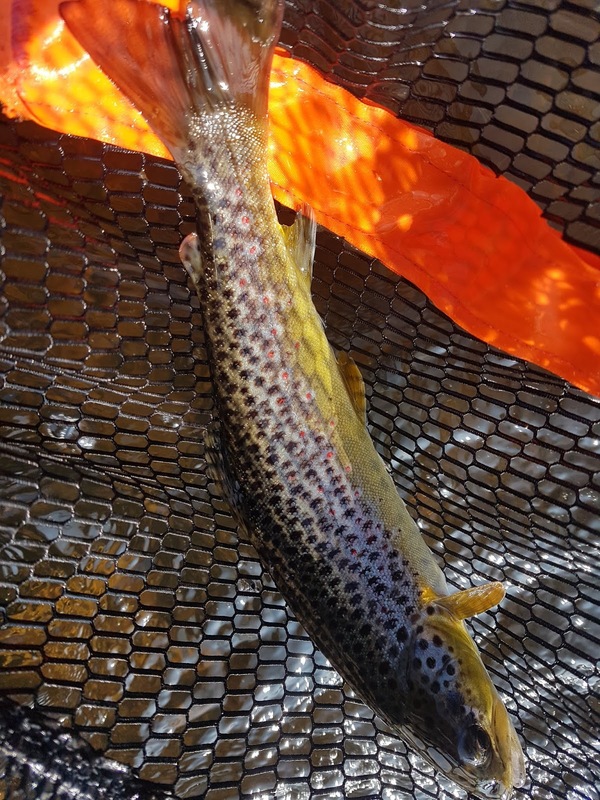 When I was fishing the tails of the pools and the slower glides I would let the nymphs sink to the bottom and one I felt the tighten of the nymphs down deep I would flick them off the bottom with a slight movement of my wrist and drop them back down again through out the drift, this produced some good takes. It is also worth you while allowing the nymphs to swing around behind you as this produced some nice results also.